Foods to Avoid on a Ketogenic Diet: What is Keto-friendly? Questions like these are asked on keto diet forums and Facebook groups multiple times a day without a definitive answer. The line between what we should eat and avoid to sustain ketosis gets blurred after we cut out the obvious high-carb foods. 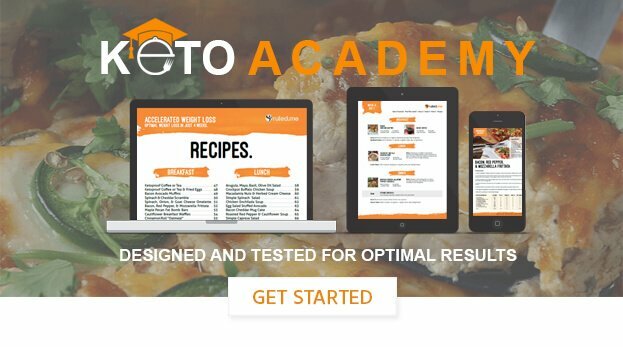 To truly figure out what is keto-friendly and what we shouldn’t eat on keto, we must have: (1) a general understanding of foods that are keto-friendly and foods that will almost always kick us out of ketosis and (2) the ability to apply the principles behind what makes a food bad or good for ketosis so you know how to figure out if a questionable food is keto-friendly for you. By the end of this post, we will cover all of these bases so that you will be able to answer the question “can I eat this on keto?” or “is this keto-friendly?” for virtually any food, beverage, or ingredient that you find. Let’s start by developing a general understanding of what it means to follow the keto diet and how this translates to keto-friendly foods and foods that we should avoid. Are You Following the Ketogenic Diet Correctly? The Keto diet is one of the only popular diets that provide us with a precise way to tell if you are implementing it properly. Are you in ketosis consistently (I.e., when your blood ketone levels are 0.5 mmol/L or higher) or not? If you answer yes to this question, then you are technically on the keto diet. If the answer is no, then you are on a low carb diet and most likely need to eat fewer carbs until you can achieve and sustain ketosis. Although other variables matter much more than how many ketones you are producing, including your overall health and weight loss results, to experience all the benefits of the keto diet you must be in nutritional ketosis. The primary variable that separates you from nutritional ketosis? The food you eat. This simple food list may be all you need as guidance to help you enter and maintain ketosis. The key principle that separates the foods we should eat from the foods we should avoid on keto is how many carbs each food typically contains. Most grains, for example, contain enough carbs per cup to prevent you from producing ketones or swiftly kick you out of ketosis. The same concept applies to sugars, tubers, most fruits, and most of the products that contain these foods/ingredients. Each food is so carb-rich that it can rapidly increase blood sugar and insulin levels, shifting your body from burning fat and ketones to prioritizing sugar use. In contrast, the keto-friendly foods on the list tend to be so low in carbs and high in fat that your body will burn more fat and ketones when you get almost all of your calories from these foods. Although some keto foods do contain net carbs (e.g., low-carb berries, nuts, seeds, and high-fat dairy), their carb content is not high enough to prevent ketosis when they are eaten in reasonable amounts. In summary, the most important factor that determines whether a food good or bad for the keto diet is its net carb content. What do I mean by “net carbs”? Technically, it is a term we use to decipher the amount of carbs that our bodies can fully absorb from the grams of dietary fiber that a particular food contains. Many countries, such as the United States and Canada, include dietary fiber in with the total carb count on food labels. In other words, a keto-friendly food is a food that is low in net carbs (which is the amount of total carbs minus total fiber for those who do not live in Europe, Australia, or Oceania). Let’s take vegetables for example. Why aren’t all vegetables keto-friendly? If we compare kale (a leafy green vegetable) to a sweet potato (a starchy tuber), we will find that one cup of chopped kale only has ~5 grams of net carbs (6.7 g of total carbs minus 1.3 grams of dietary fiber) while one cup of cubed sweet potato has roughly 22 grams of net carbs (4 grams of fiber subtracted from 26 grams of total carbs). This striking difference gains further significance when we look at it from the context of a keto diet as a whole. For most of us, limiting net carbs to below 25 grams for about a week is what we need to do to enter a deep ketosis. If we were to increase our daily net carb consumption above 25 grams, we would make it more and more difficult to sustain deeper levels of ketosis. Once we consume more than 50 grams of net carbs per day, it will be nearly impossible for most of us to sustain ketosis (unless you are very active). If you take a look at our vegetable example from before, you can now see why starchy tubers aren’t keto-friendly. Although eating a starchy tuber won’t doom you to sugar-burning oblivion, eating a sweet potato instead of kale will make it much more difficult for you to achieve and sustain ketosis (assuming you are eating enough fat and protein). With that being said, the difference between a keto-friendly food and a food we should avoid on keto does have some gray areas. With due diligence, it is possible to fit some higher carb foods into your diet without kicking you out of ketosis. One of the most important parts of the keto diet is personalizing it to your lifestyle, goals, and preferences. When we are able to adjust our diets to fit these aspects of our lives, it makes it so much easier to achieve and maintain the results we want. To make the keto diet easier to follow, we must choose foods that are accessible and enjoyable, foods that make it is easy for us to meet our fat and protein needs while keeping net carbs low. When you consider the foods you eat from this perspective, it makes it easier for you to figure out what is “keto-friendly” for your diet. Follow a standard keto diet for a few weeks to get a baseline of how low I need to keep my carbs to sustain ketosis (for most people, this is below 25 grams of net carbs). Gather relevant info (i.e., fat, protein, fiber, and net carb content) about the food product in question. Figure out what you need to cut out or add in to fit the new food into your diet. What adjustments should you make to stay below the carb limit that tends to keep you in ketosis? If the food is high enough in net carbs that you cannot stay within your carb limit, then it is not keto-friendly and you should avoid it. If you can fit the food into your keto diet while meeting your other nutritional needs (i.e., fat, protein, vitamins, minerals, and fiber), then that food is keto-friendly for you. In general, foods that have around 10 grams of net carbs or more will be much more difficult to fit into your keto diet. This is why any food with more than 6 grams of net carbs per serving will typically find itself on the “do not eat” or “eat in moderation” list for a standard keto diet. Net carb content, however, is not the only factor we should consider when picking keto foods. Sustaining ketosis and optimal health does not solely rely on carb intake. We must eat the right amounts of protein and fat from high-quality foods as well. Based on what we learned so far, we could technically classify a teaspoon or two or even three of sugar as keto-friendly because one teaspoon only has ~4 grams of net carbs. Although this silly dietary approach could technically be used to get us into ketosis, it would be virtually impossible to also consume enough vitamins, minerals, fiber, protein, and fat to sustain a healthy keto diet for a long period of time. This is why we must consider our net carb consumption in the context of our fat and protein intake and the quality of the foods we eat to ensure that we are healthy and happy in the long run. Not all high-fat, low-carb foods are healthy. Just because a food is low in carbs doesn’t mean it is good for your keto diet or your health. Your fats should come primarily from fatty plant foods like avocado, coconut, and macadamia nuts and high-fat animal foods like high-fat diary, pasture-raised meats, and wild-caught fish. Protein intake plays a crucial role in helping you build muscle and curb cravings, but not all protein sources are both keto-friendly and healthy. Milk and all low- and reduced-fat dairy products. This includes low-fat yogurts, fat-free butter substitutes, reduced fat cheese, evaporated skim milk, low-fat cream cheese, and other similar dairy products. Factory farmed meat, eggs, dairy, and seafood. Although many of these foods are keto-friendly from a fat, protein, and carb content perspective, they may not be optimal for overall health because they tend to be nutritionally inferior to pasture-raised animal products and wild caught seafood. Instead of eating the foods listed above, opt for full-fat, pasture-raised dairy products (e.g., full-fat yogurt with no sugar added, butter, heavy cream, and sour cream), wild-caught fatty fish, and pasture-raised meat and eggs. Earlier we talked about the most important characteristic of a food that determines if it is keto-friendly or not: its net carb content. By consuming foods that are higher in net carbs, you will make ketosis much more difficult to achieve and sustain. If you are not in ketosis while restricting carbs, you are technically following a low-carb diet, not a keto diet. This is why we placed such a heavy emphasis on the concept of net carbs, and why it is the most important (but not the only) principle that helps you decipher what is keto-friendly for you. The second principle behind what makes a food keto-friendly is its overall macronutrient content. If the net carbs aren’t too high, take a look at the food’s fat and protein content relative to the context of your diet. Will the food in question help you meet your fat and/or protein needs? If the food is very high in fat and/or protein, will it be difficult for you to balance it out with the other keto foods you normally eat? As a general guideline, try aiming to eat foods/meals that follow the macronutrient ratios of a typical keto diet (around 70% fats, 25% protein, and 5% carbohydrate). You can also try plugging your info into our keto calculator to personalize your macronutrient recommendations and use that as your general target for meals. If you eat any foods/meals that are super high in protein or fat, simply make sure you balance it out throughout your other meals to meet your macronutrient needs. For example, if you have a high-protein, low-fat meal after your workout, you will probably need to have a high-fat, low-protein meal for dinner. The third (and often ignored) principle of keto-friendly foods is food quality. By getting your carb, fat, and protein intake right, you will be able to achieve ketosis, optimize your body composition, and improve some aspects of your health. However, if you want to enhance your health as much as possible, you must also consider the quality of your food. Deriving the majority of your calories from heavily processed foods, unhealthy fats/oils, and factory farmed animal products will only make your health worse. This is why we recommend avoiding these foods despite the fact that many of them are very low in carbs. When you are on the keto diet (or any other diet), it is best to meet your macronutrient needs with high-quality whole foods. In other words, we should be getting most of our fats, carbs, and proteins from low-carb vegetables, pasture-raised animal products, wild caught seafood, nuts, seeds, and low-carb fruits while following the other two keto-friendly food principles. Although you can get results (lose weight, improve health, etc.) from following a general keto diet food list, you may want to eat some foods or food products that you aren’t sure about. In this case, you will have to apply the three keto-friendly food principles to see if the food in question can fit into your diet. It helps you stay within your carb limit. It helps you meet your fat and protein needs or you can meet your macros with that food in your diet. It improves your health and well-being. Side Note: What About High-Protein Foods and Ketosis? Protein consumption also plays a role in ketone production, similar to carbs but with much less of an impact. Some of the amino acids found in the protein we eat increase insulin levels and provide substrates to the liver that can decrease ketone production and potentially kick us out of ketosis. However, one high-protein meal will not affect your ketone levels nearly as much as a high-carb meal would (especially if you exercise). As long as you don’t eat too much protein over the course of the day, it shouldn’t cause any issues with ketosis. If you’d like to learn more about how protein intake affects ketosis, feel free to check out this article. Now you are equipped with all of the information you need to make the right food choices, but what about drinks, ingredients, and other products that are a bit more confusing from a keto perspective? In general, it’s better to avoid drinking your calories on any diet and stick to water. Liquid calories are not very satiating, which makes it harder for us to consume fewer calories and lose weight. Alcohol. Every alcoholic drink comes with extra calories and carbs which is not helpful for weight loss or ketosis. However, it is possible to lose weight and stay in ketosis while alcohol is a part of our keto diet. To learn how check out our comprehensive guide on keto and alcohol. Sweetened and Sugary Beverages. It’s best to stay clear of most sweetened drinks, as most of them are full of carbs. This includes sugar-sweetened soda, most fruit and/or vegetable juices/smoothies, coffee and tea drinks with added sweeteners, and dairy products and dairy alternatives with added sweeteners. Not sure what to drink other than water, coffee, and tea? You can find plenty of keto-friendly drink options in our guide to keto drinks and beverages. Manufacturers tend to stuff packaged products with extra sugar, trans fats, preservatives, and other junk to make their food less perishable and more palatable. Even most packaged foods that are labeled as “low-carb” or “zero-carb” should be approached with caution. Many of these products try to trick you with small servings sizes that look keto-friendly while a reasonable serving has a much higher net carb content. These products also typically use gluten, artificial additives, or other ingredients that may not be good for your health. Artificial sweeteners. Be cautious with these sweeteners. People react to them differently, but they might impact blood sugar levels, gut health, or cause issues like cravings. In some cases, artificial sweeteners can disrupt ketosis. Artificial sweeteners to look out for include Equal, Splenda, acesulfame, aspartame, saccharin, and sucralose. If you prefer to use artificial sweeteners, make sure you only consume it in its purest form without any other additives. Most artificial sweetener packets come with hidden sugars in them (like the next two ingredients on our list). Maltodextrin and dextrose. These two ingredients seem harmless at first glance, but they are both rapidly broken down into glucose (pure sugar) and absorbed. This means that they can increase blood sugar and insulin levels, potentially lowering your ketone levels. Keep an eye out for these additives on the ingredients label. Artificial flavors, colorings, and preservatives. There are many dubious ingredients that fall into this category. The health effects of many of them are not well-known, but it may be best to avoid them whenever possible. Isomaltooligosaccharides (IMO). This is a new ingredient that has been popping up in low-carb baked goods and protein bars lately. Due to its digestion-resistant property, it is commonly regarded as a dietary fiber rather than a net carb and is listed as such on nutrition labels. However, a recent study on human subjects indicates that most of the IMO are readily absorbed as sugar in the small intestine, which means that it should technically be considered as a net carb and not a dietary fiber. If you want to add some flavor, use herbs, spices, and homemade condiments instead. After focusing mostly on what you should avoid on the keto diet, you may feel like there is not much left to choose from. Fortunately, this isn’t the case at all. There are a plethora of keto-friendly foods, meals, beverages, and ingredients to choose from. Even keto-friendly products are starting to pop up on grocery store shelves (but make sure you read the labels carefully before you buy them).